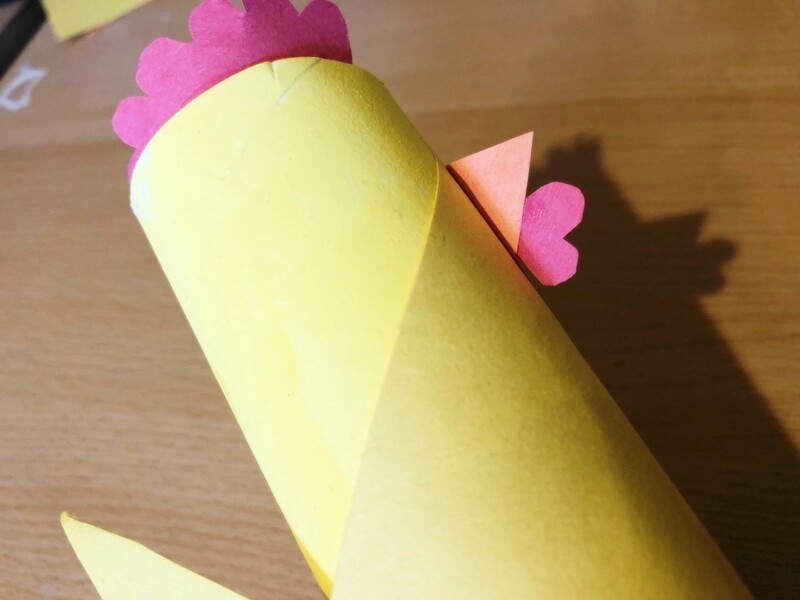 Make this cute paper chicken using the cardboard center from a roll of toilet paper. You can fill them with little bags of candy if you like. 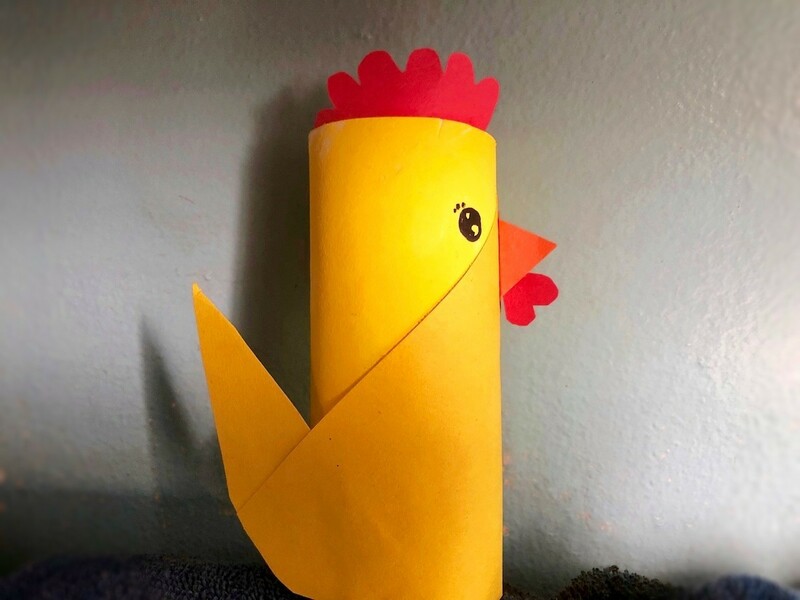 This is a great craft for kids! 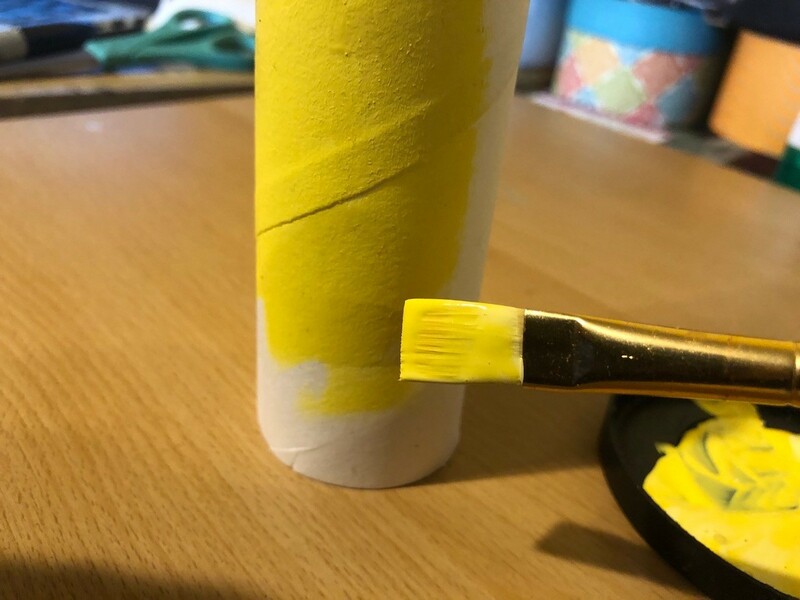 Paint cardboard tube yellow and allow to dry. 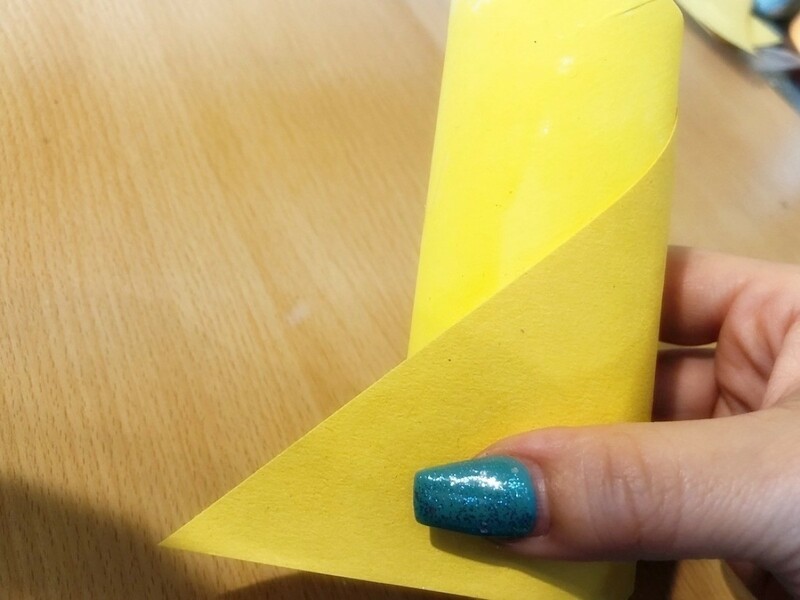 To make the wing, cut out a triangle from the yellow craft paper. Mine is about 3.5" tall with a base of 4" and diagonal of 4.5". 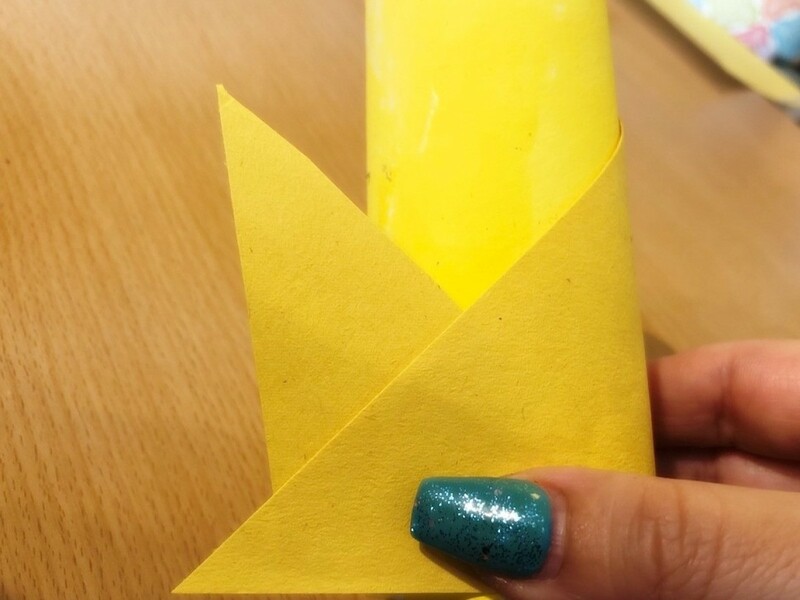 Glue the triangle onto the tube, but allow the end to stay popped out. 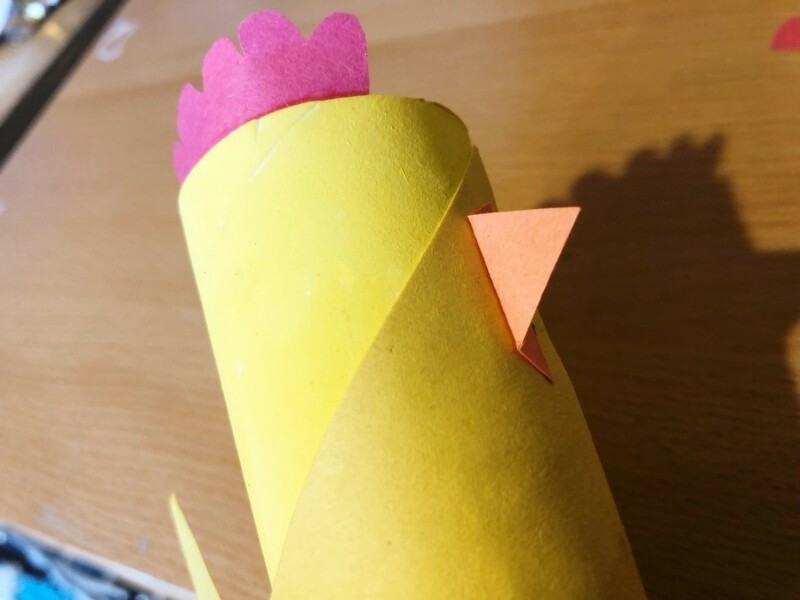 To make the chicken's tail, cut out a smaller yellow triangle and glue it behind the wing. 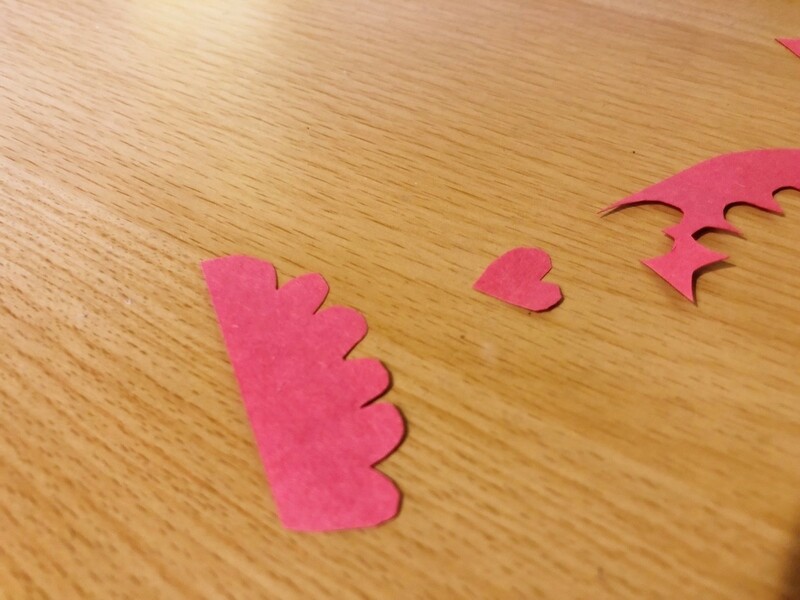 Now round off the edge where the wing and tail meet. Cut out a chicken comb and waddle from the red paper. 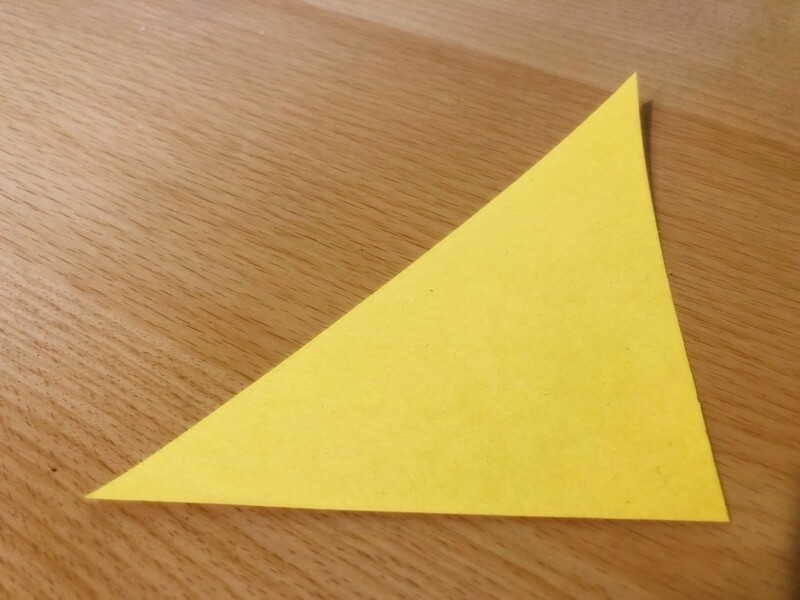 Cut out a triangle from the orange paper to make a beak. 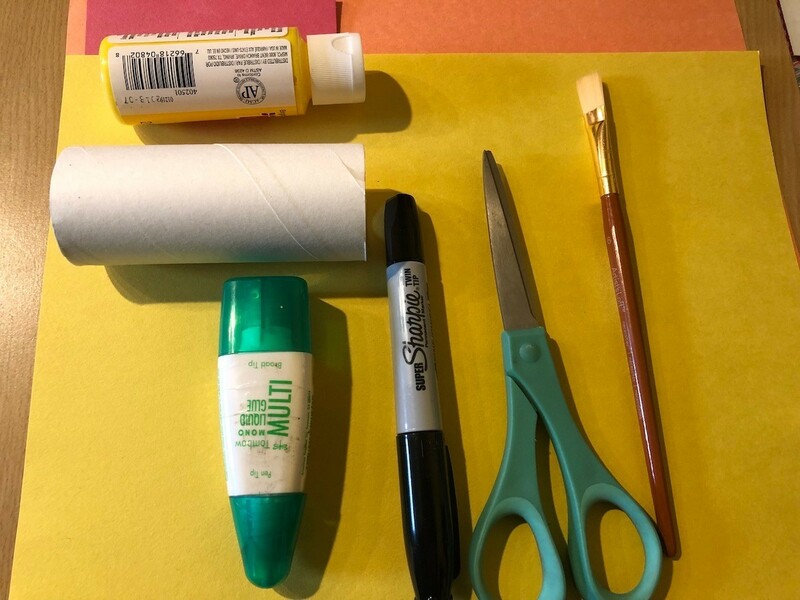 Glue the comb to the inside top of the tube. 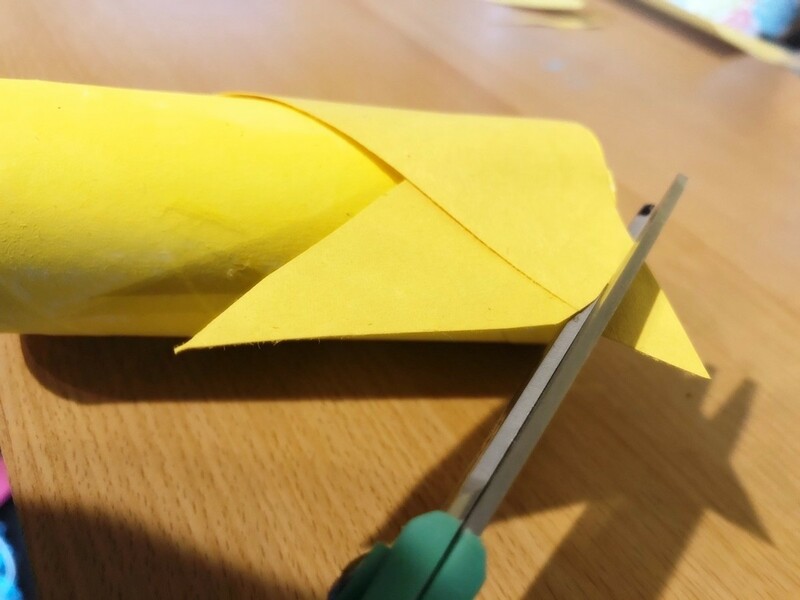 Fold the base of the beak a bit, then glue it to the side of the tube. 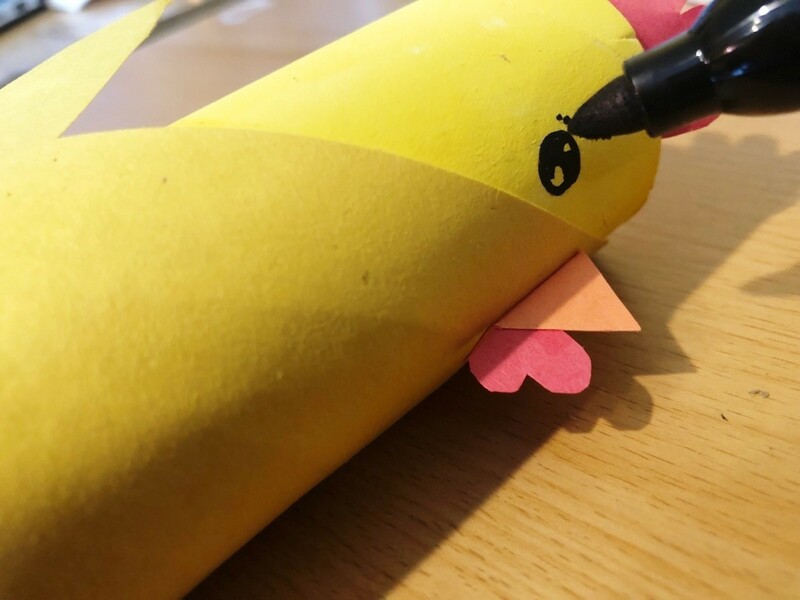 Glue the waddle to the bottom of the beak.